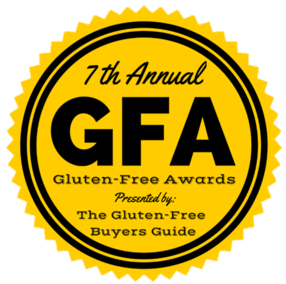 A record 152 recipients of the 7th Annual Gluten Free Awards were announced in the 2017 Gluten Free Buyers Guide this November. The winners, chosen by 3,527 people on a gluten free diet, comprise the best in gluten free for the year 2017. The voters produced 96,128 individual responses breaking last year’s totals and created the highest engaged GFA event to date. Ranking store-bought gluten-free hamburger buns; Which one tastes best? With spring (allegedly) on its way and a big cleveland.com contest to determine Cleveland’s Best Burger under way, it’s clear cookouts and burger season are upon us. And unless you’re planning on going sans bun or trying the ever-messy lettuce wrap, now’s the time to find out what gluten-free option to take to this year’s barbecues. A gluten-free recommendation from Georgi Page-Smith, who reports on GF products for THE NIBBLE. One of the perks of my gluten-free lifestyle is the license I give myself to eat limitless quantities of cheese. Years ago I indulged my cheese cravings with perhaps the best cheese crackers ever to exist (including Cheez-Its): Gluten Free Cheddar Snackers, by The Grainless Baker. These crackers were unabashedly rich and cheesy, with just the right melt-in-your-mouth crumb. I purchased them in bulk from a local store until they were discontinued by the store; then I stalked them online. Summer is coming to an end, and many of us are celebrating. Yes, it will finally be cooler out and we can’t wait for fall and the holidays, but it’s also a new school year beginning. Parents are buying school supplies, backpacks and lunch boxes in droves. Shopping lists now include pencils, erasers, notebooks, and snacks. Back-to-school season also means back-to-lunch season. Parents everywhere are restarting the daily routine of packing healthy, flavorful lunches that will nourish their children. We know that you’re looking for easy, and safe products to use in gluten-free school lunch boxes and school snacks. Gluten-free pizza recipes to truly rock your world, plus pizza dough recipes to fit your every restriction! I recently embarked on a huge task with Gluten Free & More magazine. We tested over 75 loaves of bread – around 80 I think – to find the best loaves of gluten-free bread. We found 20 best gluten-free breads and you can find them all in the Aug/Sept 2017 issue of Gluten Free & More magazine. May is Celiac Awareness Month, bringing attention to an autoimmune disease that causes intestinal damage and other severe symptoms when gluten is consumed. There is nothing better than a good burger. There is a reason why Jimmy Buffet wrote a song about cheeseburgers. They are amazing! Unfortunately for Celiacs and those who are gluten free, getting a good burger takes a bit more work. Very few places offer safe burgers or decent gluten free buns. I’m okay with eating a burger in a lettuce wrap, but there is just something about biting into a soft bun. May is Celiac Disease Awareness Month, and to commend us celiacs who deal with the difficulties of living with a serious eating restriction, Gluten Free & More is bringing you recipes for perhaps THE most missed food of gluten-free eaters everywhere: PIZZA. Gluten Free & More teamed up with companies making some of the best gluten-free products on the market to bring you the pizza recipes below. If snacking was a sport, I deserve a gold medal. Personally, three meals a day just don’t do it for me; and I’m always on the hunt for a new snack to try. I’m so excited to introduce you guys today to Three Bakers Company. I thought I would share my latest product review for Three Bakers Snackers since, well tomorrow is Superbowl Sunday and who doesn’t need new ideas for food?! Come on, we all love watching the game, eating tons of different pick foods and snacks or maybe you are the one bringing some food over to someone else’s home for the game. Either way, I felt sharing was the way to go. Crunchy, perfectly baked, and bursting with flavor, Three Bakers Snackers are available in four flavors and a new favorite in my kids lunches. I am so excited to tell you about Three Bakers Snackers. Three Bakers reached out to me a few months back and asked me if I’d like to try their Snackers. First off, Snackers is seriously a clever name. Snack + crackers = Snackers. Sorry, I love clever product names and smiled when I heard their gluten-free crackers were called Snackers. When it comes to tasty treats for our family, Three Bakers Snackers gluten-free crackers hit the mark. We love that they have sweet and savory flavors. Whether you are a fan of chocolate chip, chocolate chocolate or honey graham, you will love these crisp little crackers. Since going gluten-free, it’s been hard to find a cheesy cracker that tastes like I remember. Luckily, we have now found it. The best is that they use real cheddar cheese which makes them truly genuine in flavor. Snackers are the perfect bite-sized snack. Perfect to grab and go with four great flavors they can satisfy any craving. After his wife was diagnosed with celiac disease, baker Dan Trygar was on a mission to create healthy bread products she could eat safely, without sacrificing on taste. The result? Three Bakers’ gluten-free bread. Warning: The products you’re about to read about are addictive…and totally delicious. About two weeks ago, some samples of Three Bakers’ brand new Gluten-Free Snackers arrived at the Beyond Celiac office. In about an hour, one bag had already disappeared! Snackers are the newest products to hit the shelves from Three Bakers. The come in four varieties: Real Cheddar Cheese, Chocolate Chip, Chocolate Chocolate Chip and Honey Graham. I tried to think about which one was my favorite for this review (yes, I tried them all…), but I really can’t decide. When was the last time you had rye bread? Multi-grain? Did you ever think you would be able to eat bread made with ancient grains? You can again with Three Bakers Gluten-Free Bread. We’ve been snacking on this bread at the Beyond Celiac office for about a month. Some of the people in the office have celiac disease and others don’t. Regardless of gluten-free diet status, we all love Three Bakers. We surveyed readers and threw a bun-tasting party to find the very best hamburger rolls on the market. It’s safe to say that your grilled burgers will fit deliciously between these buns. A good pizza requires the perfect balance of cheese to sauce, a nice blend of cheese, a fresh-tasting sauce, and a solid crust. Would it be achievable for a frozen pizza to have all this and meet our nutrition standards? Luckily, the answer was “yes” as we found several products that we think are great to keep on hand for Friday night. Who’s got the best burger buns in the gluten-free biz? We rounded up dozens of buns, and these bread winners rose to the top. If you often judge the quality of a company by its employees and representatives, I often do, then Three Bakers could be considered a top notch bakery. I had the pleasure of meeting Angela, who proudly passed out samples and raved about the quality of Three Bakers Gluten Free Bread. “Just feel the texture of this slice!”, she proclaimed. When you start following the gluten-free diet, it’s frequently tough to find commercial gluten-free bread products you enjoy. The same goes for hamburger and hot dog buns. It’s no longer easy to simply pick up a package of buns at the store for an impromptu cookout — instead, you need to plan ahead. When it comes to gluten-free bread (or any other bread, for that matter), the time-honored consensus is that homemade beats store-bought, anytime. A few years ago, this was very true, since a couple of gluten-free products on the market didn’t offer much in terms of taste or texture. Today I had the pleasure of trying out two new products from Three Bakers Gluten Free: Chocolate Chip Snackers and Honey Graham Snackers, and I’m very impressed by both. Just as the “Snackers” name implies, these new products make a perfect snack. The texture of Snackers is a bit like a cracker, bit their taste is more like a cookie. I really like the fact that the first ingredient is whole grain brown rice flour, which has more fiber and nutritional value than plain rice flour. One of the toughest things about purging gluten from your diet is the change in taste you’ll undoubtedly experience. 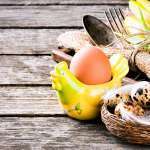 Since gluten-free breads are baked without the benefit of the almost magical baking properties of gluten, finding a practical – and tasty – substitute can certainly be be a challenge. While many celiacs are gifted enough to tackle gluten-free baking on their own, there are many more of us who prefer to leave the baking to the pros and lucky for us there are experienced bakers mass producing some excellent choices. So I am sure you guys are noticing how much I am chatting about Three Bakers Snackers. Well I am just THAT excited about this product. You readers are not the only one noticing this… my friends and family have been hearing me talk about them non-stop. So yummy, that I am just finding myself craving them!! The gluten free community raised their voices and the good folks at Three Bakers were listening. I have to tell you how amazing it is to have a piece of bread and butter. That’s it, no toasting involved… I was in gluten free heaven cause their 7 Ancient Grains Whole Grain Bread is OUTSTANDING!! Have you ever found a “new” gluten free product you just can’t get enough of? Well, Three Baker’s Gluten Free Breads have been that to me. I have been talking about it and telling about how this is a bread that you do not HAVE to toast to enjoy… of course toasting it tastes great but I can not tell you how many slices I have just eaten buttered and straight! That is pretty unusual for gluten free breads. Even after all the years of being diagnosed Celiac, I still struggle with bread addiction. Finding a good bread is really hard to do!! Well… I am THRILLED to tell you about today’s product review… Three Bakers Great Seed Whole Grain & 7 Seed Bread. Three Bakers is a family-owned company based in Moscow, Pennsylvania, specializing in gluten-free breads, buns, and pizzas. I love Jane’s story of how Three Bakers came to be. And I love their promise to make products that taste good, are certified gluten free, are free of dairy (except the pizza), soy, and GMOs, and also contain natural ingredients, fiber, and whole grains. Recently, gluten-free son and I had the opportunity to try several of their products, and we were impressed. Just thinking about bread makes me sad… mainly because most gluten free bread is sad. When I went gluten free, I pretty much said goodbye to things like sandwiches, French toast, and challah. The texture of gluten free bread is always off. The taste is less than desirable. With few exceptions, I avoid gluten free bread like the plague. When someone at Three Bakers Gluten Free Bakery offered to send me some gluten free bread to try at no cost, I begrudgingly accepted, even though it was such a thoughtful and generous offer. I’ve tried all the main store brands you see these days – and without bashing any gluten free bread brands – let’s just say I’m unimpressed. While eating Gluten Free there is always a search for good, tastes like bread, Gluten Free bread. Luckily there is a growing number of companies who are introducing new GF bread products. When Three Bakers contacted me about trying their products I jumped at the chance. I’m a carb girl so when given the opportunity to eat bread I take it! There are two dishes in my Gluten eating days that were part of our family’s normal recipe rotation. However we haven’t had them in over three years due to the fact that one key ingredient is stuffing mix! I recently found out that Three Bakers makes stuffing mix and I knew exactly what I was going to make with it: Swiss Chicken Casserole. 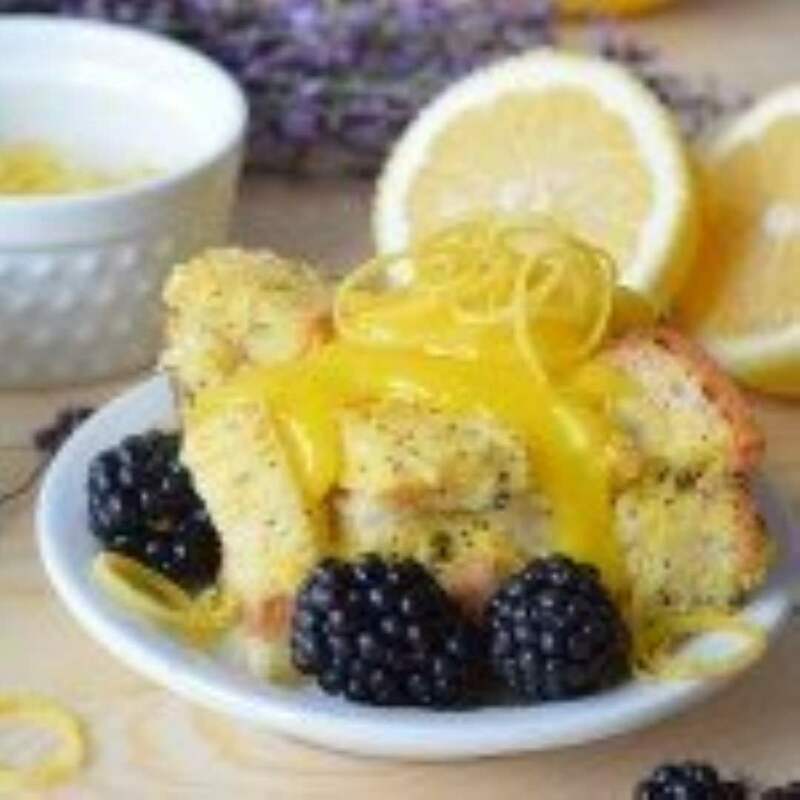 This Gluten Free recipe is adapted from this recipe. Let’s talk Gluten Free bread. There are a lot of options and not all brands are created equal. This month I will be sharing about 5 different brands. All of which I love for different reasons. Today weare talking about Three Bakers Gluten Free Bakery. The first time I ate a fresh slice of their White Bread Whole Grain I had hope, hope that I could enjoy bread again and I would not have to toast every slice of bread before it goes into my mouth. Another favorite is the Whole Grain Hoagie rolls. They are epic for sandwiches, hot dogs and pizza. We found a new frozen pizza option at our Sprout Market! Three Baker’s Bakery was founded by a woman who was diagnosed with Celiac Disease in 2002. She and her husband started their gluten free business in 2008 and have been growing ever since. Everything is made in a dedicated gluten free facility, making it a safe choice for pizza and baked goods. There is a company called Three Bakers in Pennsylvania producing gluten free sandwich bread, pizza crust, and hoagies. They ship product direct to you and they have some grocery store distribution. You will want to buy some of their items. In late summer was I lucky enough to try Three Bakers Gluten Free products! When they contacted me, I asked specifically to try the 7 Ancient Grains and the Hamburger Buns. I love that this is a family company, one who really understands being gluten free! The family had a bakery and in 2002 along came a celiac diagnosis. Using the skills they already had they began creating and selling GF items. The response was HUGE! If you are anything like me, then you struggle with how to use your Thanksgiving leftovers. For the first day or so I like to just heat everything up and enjoy. After that first day though, what’s left starts to dwindle and I find myself with a whole bunch of turkey and some fresh cranberries. Am I the only one who doesn’t ever use the whole Costco bag of cranberries? Also, there’s the issue of wanting to lighten my meals up after eating whatever I want (gluten-free for me of course) for the past few days. This Thanksgiving Leftovers Salad is a great way to use your leftovers in a light, fresh way. Don’t worry though, the flavors of fall will all still be there and we add a classic favorite to the mix…bacon! Three Bakers herb seasoned stuffing is made with gluten-free whole grains and is packed with bold fall flavors. Using them dry in this recipe makes for a fantastic crouton. Under that you will find organic greens, bacon scented turkey and cranberries and a delicious honey mustard dressing. Now you can make your leftovers look like a cafe inspired meal. The bonus? It’s even gluten-free and dairy-free! The people over at Three Bakers Gluten Free Bakery asked me if I would like to try some of their bread. Of course, I said yes. I am always ready to try out a new brand of bread. They sent me three loaves of their great bread. Three Bakers was founded in 2008, and exclusively bakes gluten free bread products. Celiac disease or gluten intolerance is a serious health problem affecting both children and adults worldwide. Parents whose children have a gluten intolerance or celiac disease carry a special responsibility. Not only do they have to be alert to what their children eat at home, they have to try to protect them when they go to school or sleepover. Everybody ( including our Wellness magazine team) loves Blake Lively, and now we love her even more after seeing her new role in the thriller “The Shallows”, which hit theaters on June 24th. Just 10 months after giving birth to her first baby, Blake needed to be in a bikini body for her new movie. Showing off her a breathtaking body has motivated me to run a few more miles each day. Staying clear from GMO, cholesterol, trans fats, high fructose corn syrup, preservatives, and gluten … is not easy. And it is a big challenge for all of those who do not have any other choices. People with celiac disease, for example, are overwhelmed by the diet challenges in eating gluten-free. To be in their shoes just for one day, we would like to look into what gluten-free menus look like and how we would enjoy one day without gluten. Our experts from Three Bakers Gluten Free Bakery, a craft bakery and producer of gluten-free breads, have helped us create the one-day gluten–free menu to give you an idea of what a gluten-free diet look likes. One Day Without Gluten, a nutritionally balanced plan, gives us easy-to-make gluten-free recipes that include three meals and a snack. Food intolerance and food allergy are a serious health problem affecting both children and adults worldwide. Did you know that food allergies affect as many as 5% to 6% of young children and 3% to 4% of adults in westernized countries? Every year, millions of people have an allergic reaction to food. Thankfully, most allergies cause mild symptoms, but some be very serious, and even life –threatening. For some people — about 1% of the population — gluten can be a matter of life or death. These people have a condition known as celiac disease. While there is no cure for food allergies, allergic reactions can be managed through early detection or diagnosis and strict avoidance of certain foods. If you are confused by the gluten free diet, you are not alone.